Despite bullpen failures costing them multiple games, the Mariners' season wasn't ruined by the 1-5 road trip. They fell out of first place in the AL West, but remain 5 1/2 games up on the last American League playoff spot. 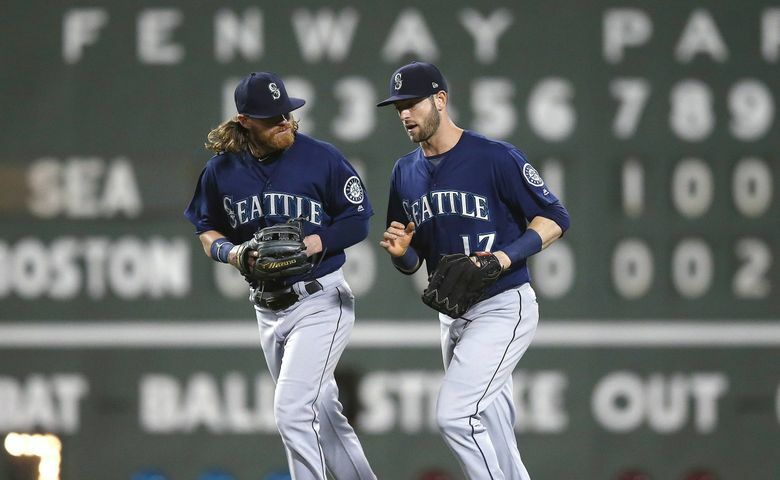 BOSTON — The stretch that many people believed would define the Mariners’ season and determine their postseason hopes is over. Starting on June 11, Seattle had to play 13 consecutive games against teams with winning records and legit playoff aspirations. It started with seven games at Safeco Field — a three-game series vs. the Angels and a four-game series vs. the Red Sox to wrap up the homestand. Three games at Yankee Stadium and three more vs. the Red Sox at Fenway Park followed. And what did it yield? With a 5-0 loss to the Red Sox on Sunday, the Mariners finished 6-7 over those 13 games and have a 47-31 record. But they’ve lost six of their past seven games. Bullpen failures cost them victories in three of those seven defeats. But really, the Mariners’ season wasn’t ruined by the trip. They fell out of first place in the American League West. But that was also about the Astros winning 14 of their past 16 games. Realistically, the chances of Seattle winning the division were slim given how good the AL West has been this season and how strong the Astros appear to be. As for their postseason hopes, the Mariners were still 5 1/2 games ahead of the Angels for the second wild-card spot after the loss. The Mariners schedule gets significantly easier for the next seven days. They wrap up the road trip and their East Coast visit with a four-game series at Camden Yard against the Orioles, who are 23-53 and are battling it out with the Royals and White Sox to be the worst team in the American League. When the Mariners return to Safeco Field, they’ll open an extended homestand with a three-game series with Kansas City. The remainder of the homestand features a three-game series with the Angels and a three game series with the Rockies. Jean Segura (right forearm infection) was out of the lineup for the fourth straight game. He did work out before the game, hitting in the cage and taking ground balls at shortstop. The Mariners hope he’ll be available Monday in Baltimore. Nelson Cruz hit his first triple since Aug. 9, 2016, against the Tigers. It wasn’t typical base running as Cruz stopped about 20 feet from third base and considered going back to second after seeing third-base coach Scott Brosius giving him the stop sign a little too late. Over his past 25 games, Cruz is hitting .363 with a 1.267 on-base plus slugging percentage, four doubles, a triple, 12 homers and 26 RBI.